– Design: Firstly, the design is pretty cool and is very thin! 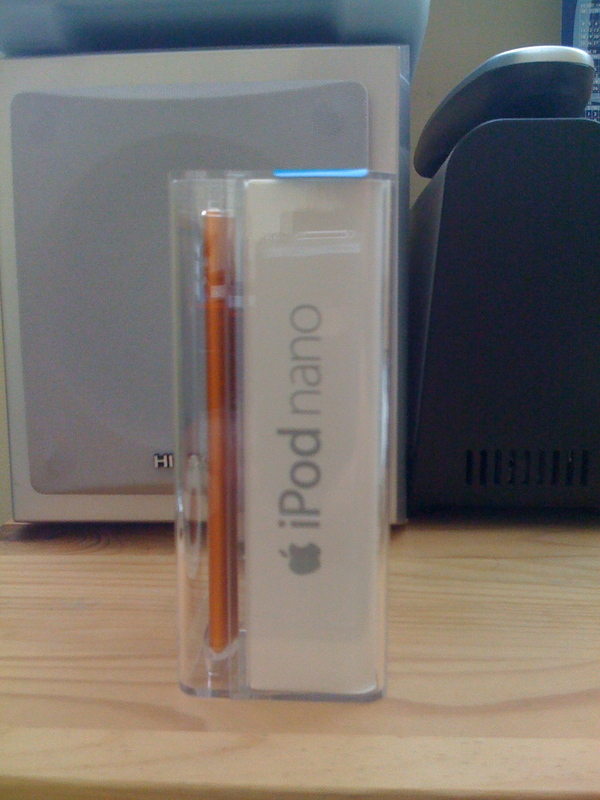 It is even thinner than the previous Nano and Apple have made an effort to take the best of both the 1st and 2nd generation Nano tall design combined with the 2″ screen from the 3rd generartion Nano. 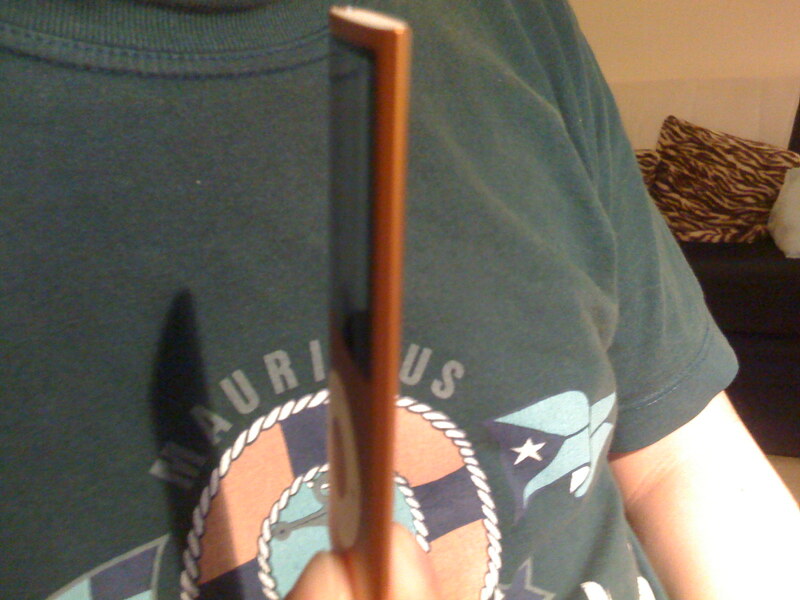 – Screen: The screen size may be in portrait view, but it is still the 2″ screen that featured in the previous Nano. The screen is of high quality and the glass coating gives the vibrant colours. – Interface: The new Nano has a brand new updated interface which is an improvement. You can see the menu more clearly and can even change the font size if the text is too small. The new context menu allows you to access a huge range of other features. Simply press the middle button on the Click Wheel. – Shake to Shuffle: The Shake to Shuffle feature which involves a simple shake of the Nano to randomly change the track…it works wonders! – Accelerometer: The built-in accelerometer is a new feature on the iPod Nano which allows you to view photos in both portrait and landscape view. If you are in the Music mode, you can access Cover Flow by turning the iPod Nano to landscape mode. All videos play in landscape mode and there is an excellent new game called Maze which fully takes advantage of the accelerometer. 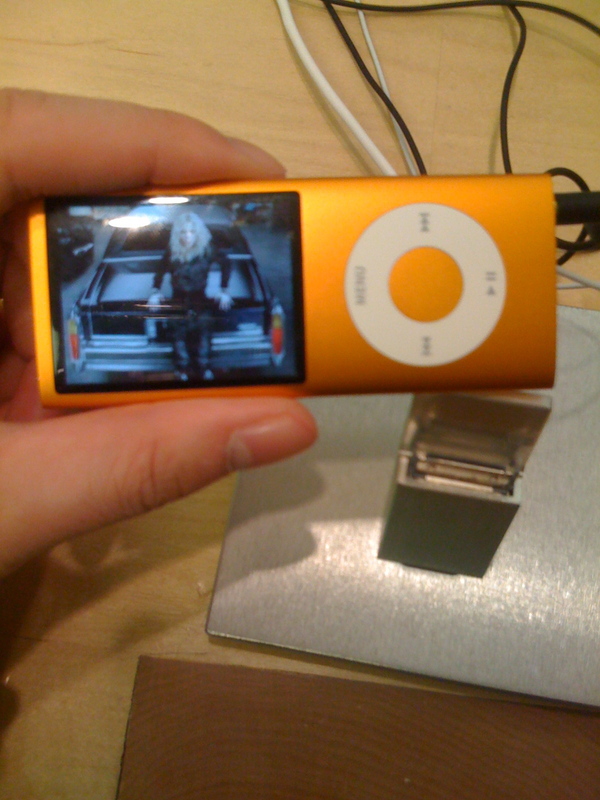 – Genius: One of the coolest features to appear on the iPod Nano is Genius. This new feature simply generates a playlist of songs based on one song! The results are pretty good to say the least! 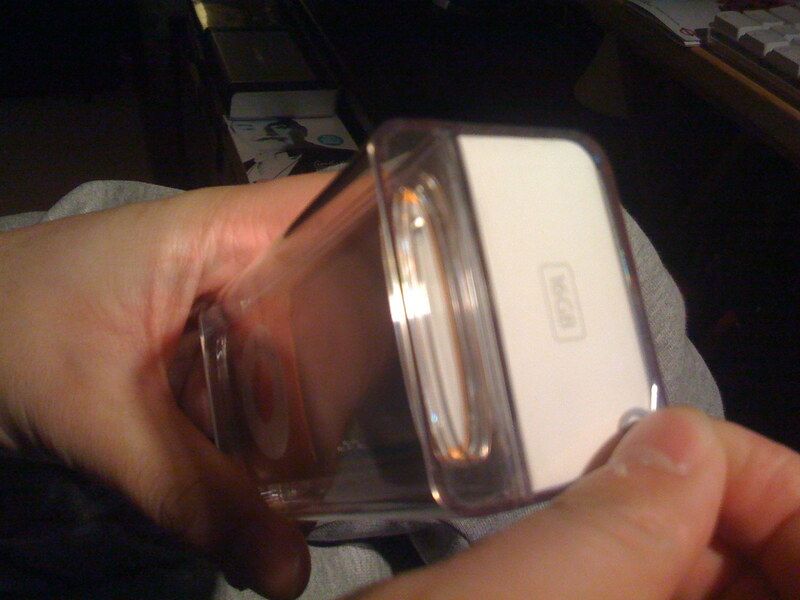 Finally, one feature that is unique to this iPod Nano and not really recognised is the brand new Crossfade feature! This is already featured in iTunes, but appears for the first time on any iPod! Whenever a track reaches the last 10 seconds of the song, the next tune will automatically play. I was mighty impressed! There are many more features of this iPod Nano which has been included, but there are too many to mention here. My overall opinion? It is one of the best iPod Nano releases and I would definitely recommend getting your hands on one if you are in need of upgrading your iPod or simply are new to it! What do you think of the new iPod Nano? Let me know! 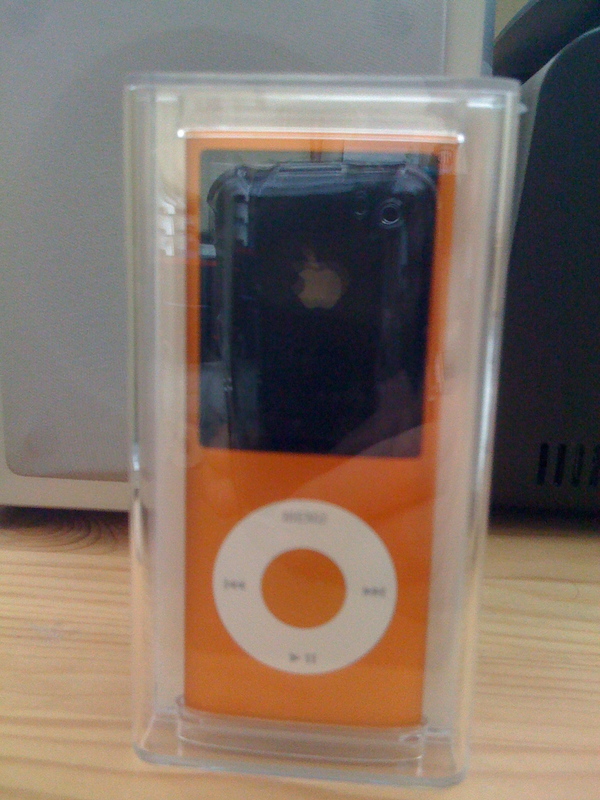 Now something different…at the end of September, I bought the coolest iPod to date, the brand new iPod Nano (now just in case you are wondering…I have sold my older iPod Nanos, so this is merely a replacement!). 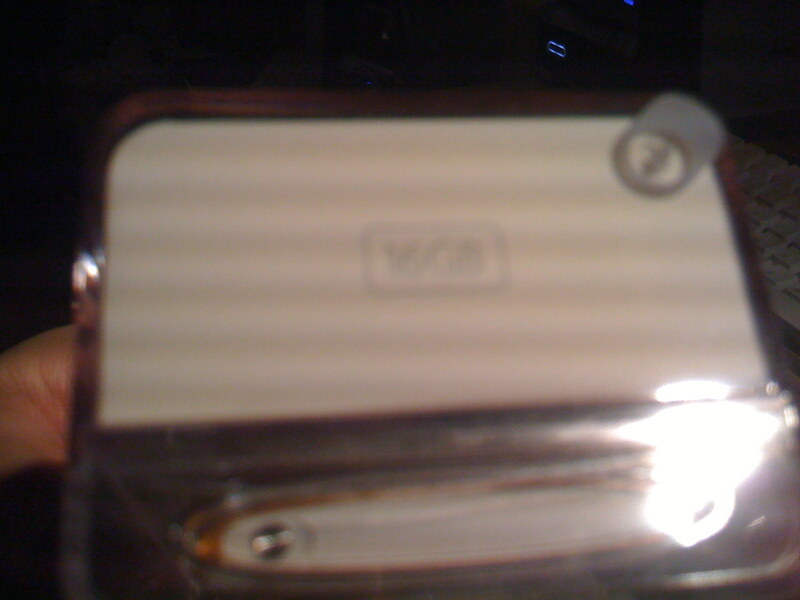 But it has taken me two and a half weeks to unbox the Nano and actually use it! 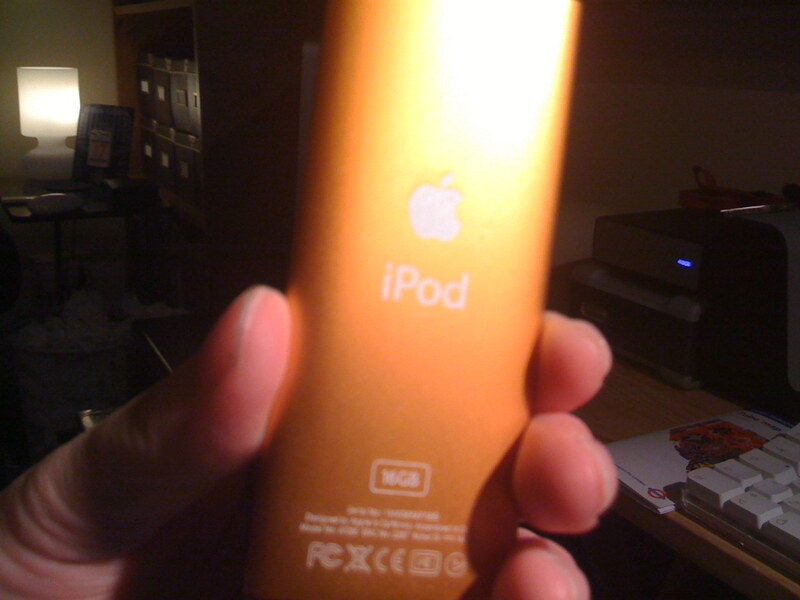 So here I present you a gallery of the new iPod Nano…and yes, I do love the orange model! 3. 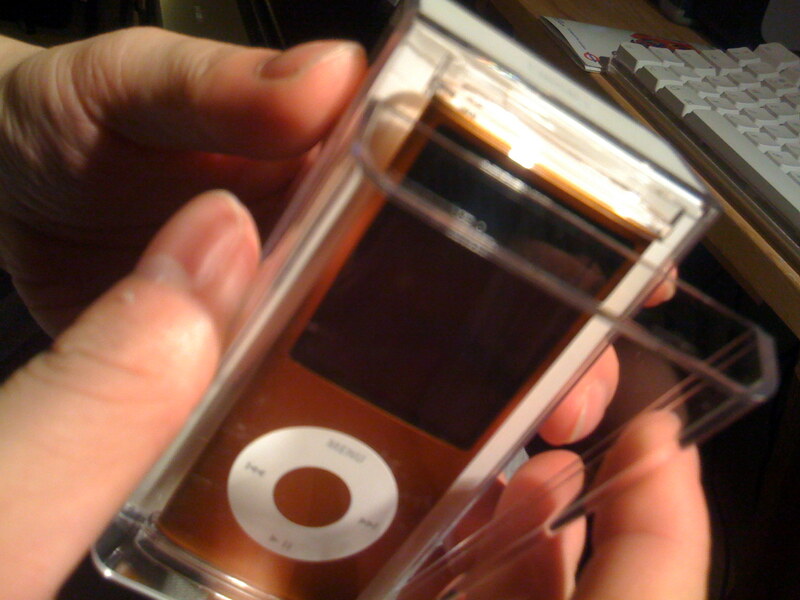 Just look how thin the iPod Nano is! So there you go! 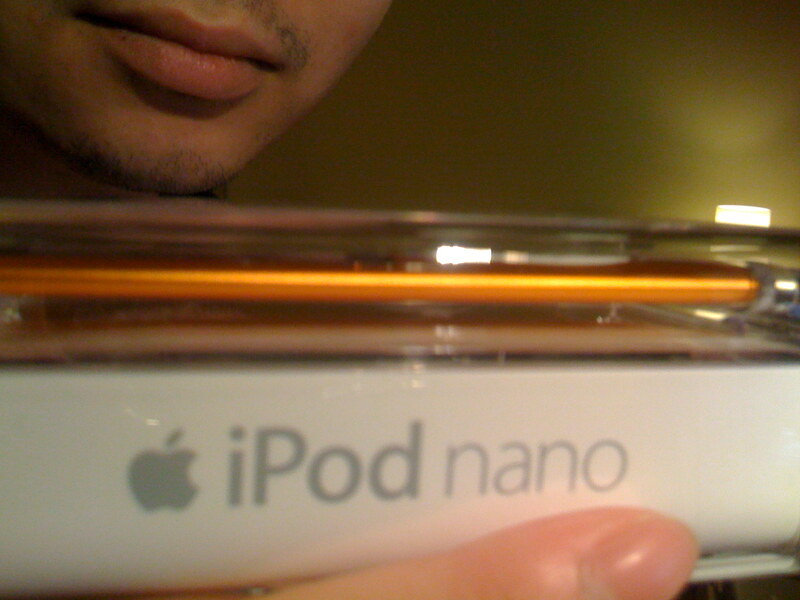 I will be giving a short review of the iPod Nano a little later for you to know what I really think! But what do you think of the new iPod Nano? Do you like it? Let me know! After the announcement of the new iPod range, I thought it was time to check the new iPods out for myself. This time, I thought I would visit my local Apple Store in Brent Cross! The first thing I had to try was the brand new iPod Nano. The colour that attracted me was the orange model and as you can see in the photo below, I am holding the real thing! 1. 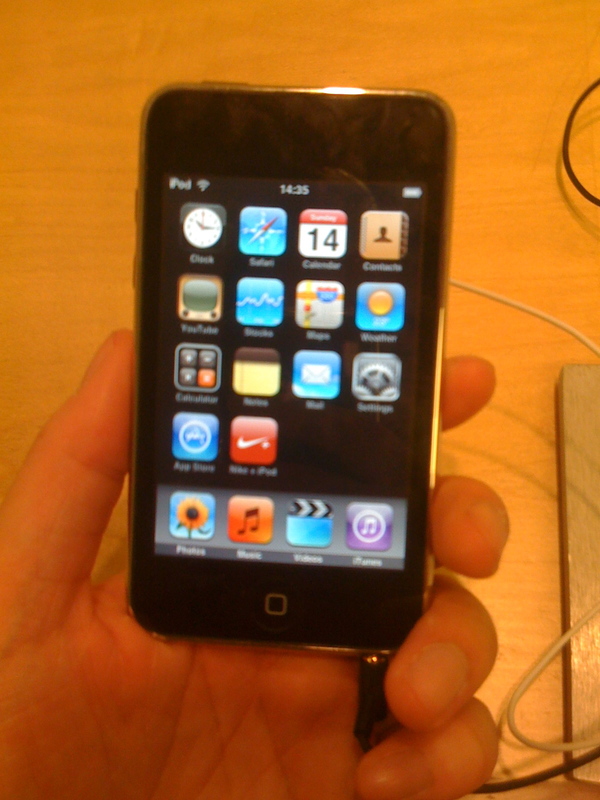 I hold the iPod Nano for the first time! 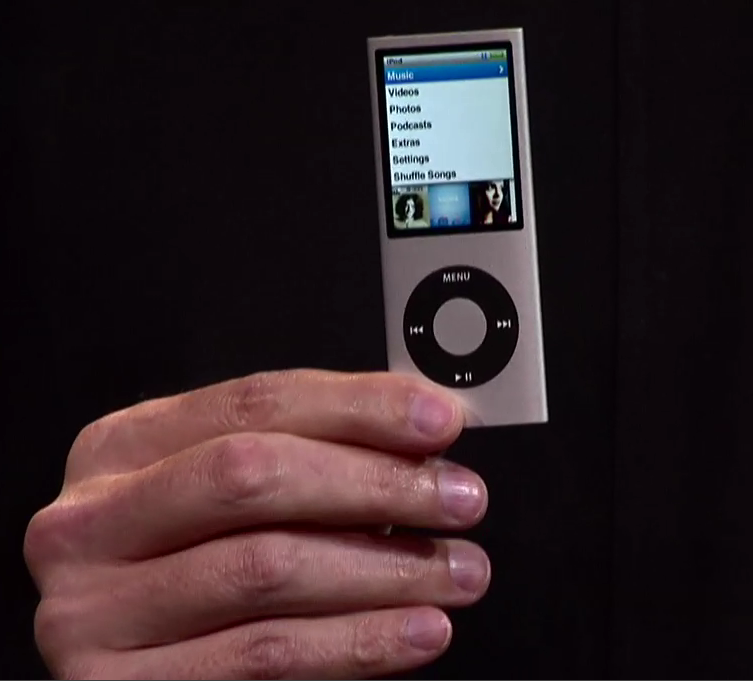 The impressive features include the accelerometer built-in to the new iPod Nano. You can check Cover Flow and great video when you turn the iPod Nano to landscape. But photos get the added benefit of the ability to see them both portrait and landscape, something the Nano did not have before! The feature I was eager to try was the Shake to Shuffle feature which involves simply shaking the iPod Nano briefly while a song is playing to change to a new song randomly. Thanks to the accelerometer which allows such a feature to even work! Overall, it sure going to attract people especially the wide range of colours available. 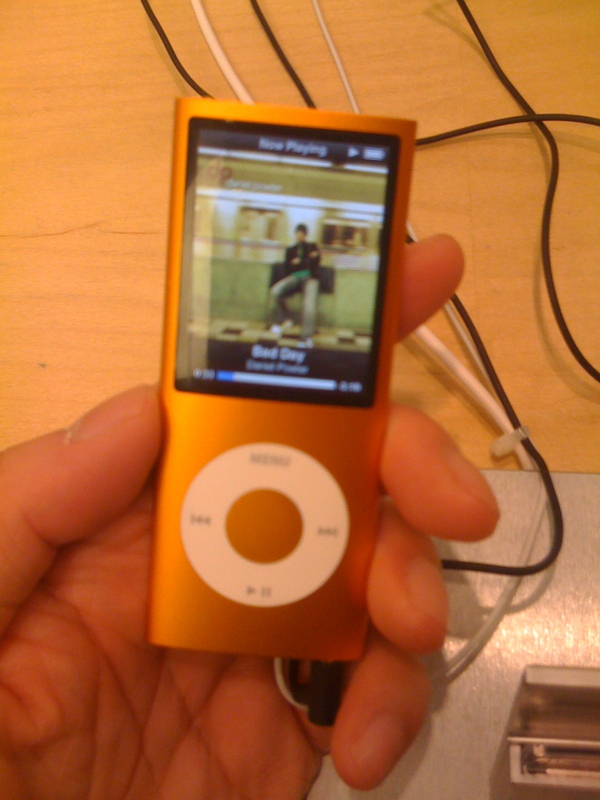 If you still haven’t got an iPod and you want a great affordable model, get the iPod Nano. You can get the 8Gb model for £109 and the new 16Gb model for £149. At the time I was at the Apple Store, they did not have the 16Gb model available yet, but I was told it would be available in the next week or so. So if you thinking of getting the 16Gb model, just wait! It is really thin and nice to use! 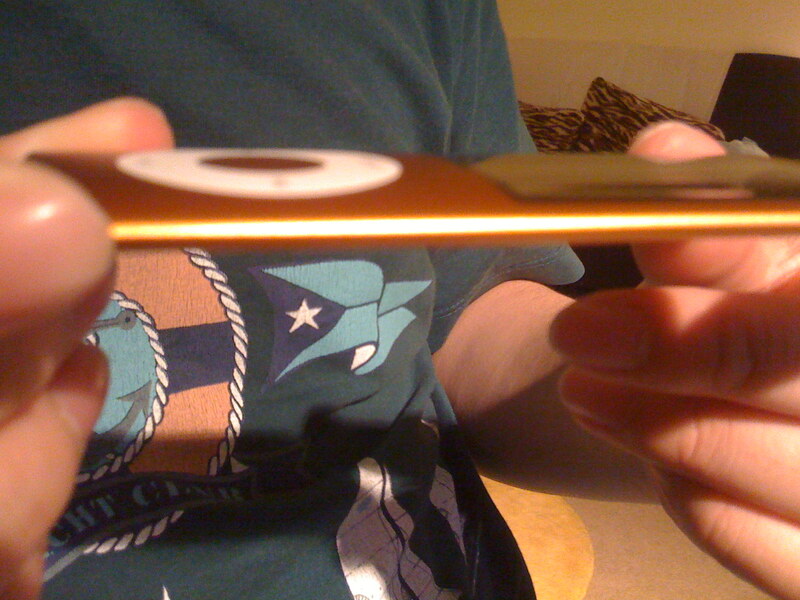 The new iPod Touch has volume controls on the side, and a built in speaker! Handy because if you are playing games, for example, you can listen to the sound rather than stick on headphones for that reason alone! Decent sound, but nothing replaces the headphone or stereo speakers, so don’t depend on the built in speaker! 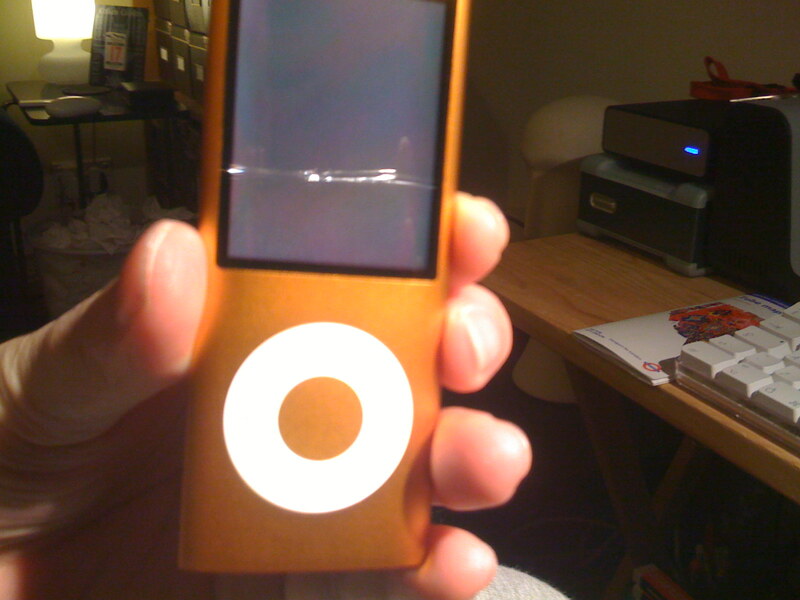 Other than the appearance, this is the only iPod to feature Nike + iPod. This is a fitness tool which works with the transmitter accessory, which is sold separately. The iPod Touch has a built in receiver so you don’t need to plug the receiver into the bottom of the iPod Touch. Now that you can download thousands of applications via the App Store, the iPod Touch is a great iPod to own…next to the iPhone…and great if you are interested in entertainment and music rather than having a mobile phone. So what models are on offer? There are three different capacity models, the 8Gb model costs £169, the 16Gb model costs £219 and the huge 32Gb model costs £289 (£40 less than the previous version). So you really decide how much you want to store! But all models do the same thing! What do you think of the new iPod range? Have you tried them yet? Let me know! Did you hear the major announcement from Apple? 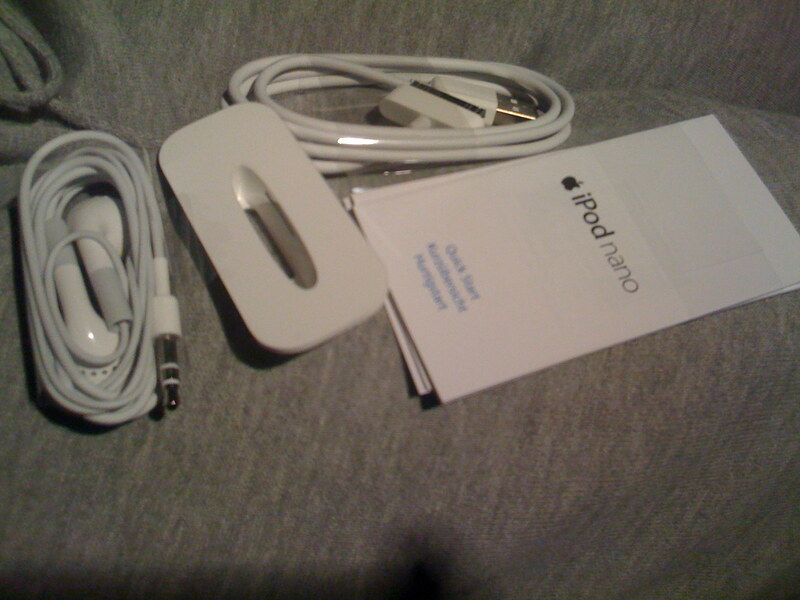 Well let me tell you a few details…yesterday, Apple unveil their brand new iPod range which did excite! The major refresh was of course, the iPod Nano. Sporting a new design, the 2 inch screen can be turned to landscape thanks to the Accelerometer technology built in. In addition, there is a brand new interface and from what I’ve seen, it looks really cool! In addition to this, the coolest feature has to be the shuffle feature. Simply shake the iPod Nano and a new track plays randomly! So what about the pricing? Well the iPod Nano comes in nine colours, so you will spoilt for choice! The prices are for an 8Gb, it costs just £109, while the 16Gb model will cost £149. They are pretty good prices and something worth going for…might consider getting one! 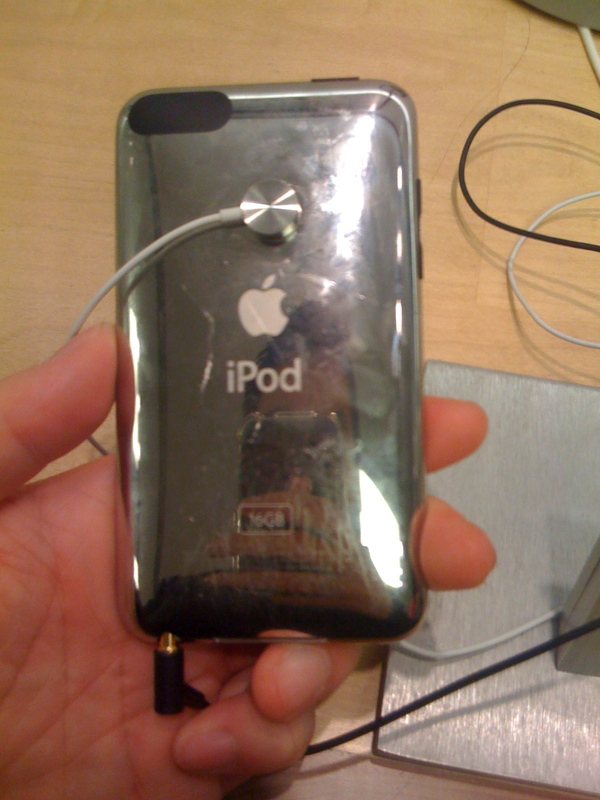 The iPod Touch had a refresh too, other than the brilliant 3.5 inch screen, the new iPod Touch had new features including a stainless steel backing, volume controls and a built in speaker which Steve Jobs described is for “casual listening”. Good for games and applications that don’t need the headphones! Also, the Nike + iPod application is included with a built in receiver. Both models feature an excellent feature called Genius, this brilliant tool intelligently creates a playlist based on the song you are listening to! Cool! So what about the iPod Shuffle and iPod Classic. Well, although not mentioned in the keynote speech, the iPod Shuffle has brand new colours but the specification remains the same. As for the iPod Classic, a brand new 120Gb model has been released while the 80Gb and 160Gb were dropped, so now there is just one model priced at £179, the same price as the 80Gb model. Other news includes a brand new version of iTunes, version 8 which features a new way of playing your music plus you can now buy High Definition movies…although this has not come to the UK yet. And finally, iPhone 2.1 software which is due out tomorrow (Friday). So there you go…lots of new stuff! What do you think of the news? Let me know! Apple announce a media event! I’ve been following the rumour mill about a possible event on 9th September 2008 that would introduce a brand new refreshed iPod Nano and an updated iPod Touch. Well it appears that Apple have officially announced this date calling the event ‘Let’s Rock’. That event name is enough to suggest that it is indeed a music event…what could be in store? Well, we will have to wait and see on 9th September, which is exactly a week away. 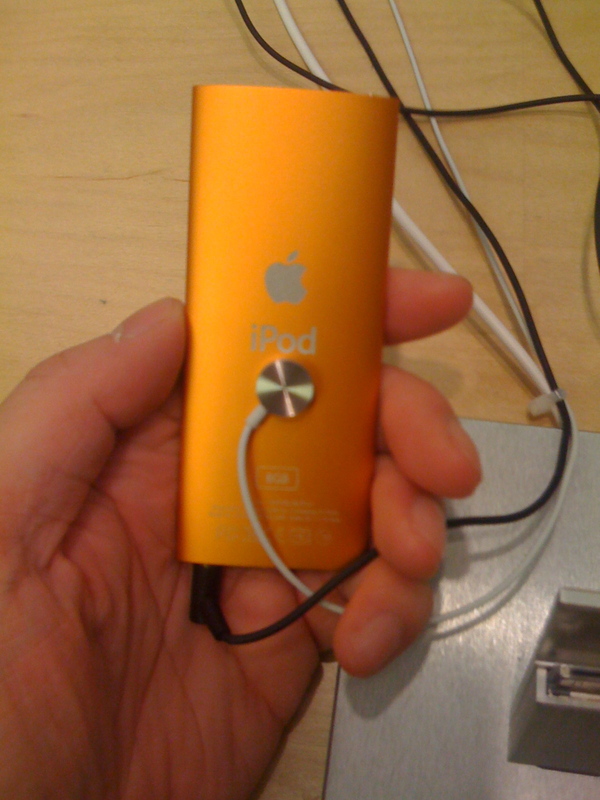 Some people however are not keen on the new iPod Nano look that has been suggested in photos and all sorts…but you never know, it could be a great release! If they do release an updated iPod Touch, let’s just hope it is much cheaper than what is currently available and perhaps far cheaper than the iPhone 3G! So what do you think everyone? Are you excited? Will you get a new iPod when it is officially released? Send your comments in!! !